Floral skirt,featuring a dreaming style,star printed wholly,oblique asymmetric hem at the bottom,elasticated at the waist to the end. The skirt is so cute!! 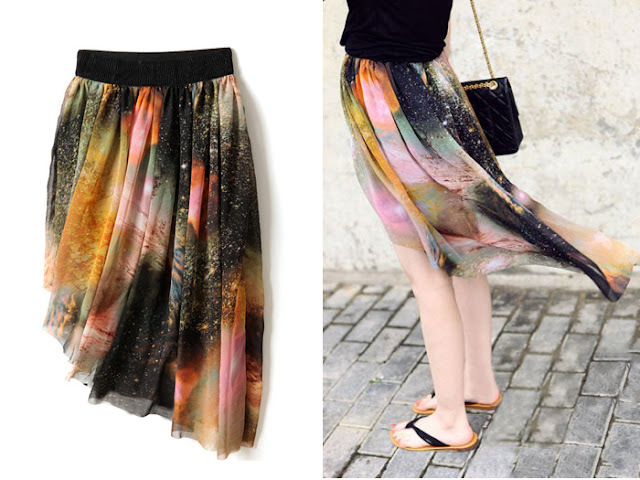 love and want the skirt! i love the skirt. Where can i buy it? Will this dress be available? ?